IDC's Canadian Managed Services Market Forecaster complements our subscription research services, which aims to keep clients abreast of the latest technology and segmentation trends and opportunities. IDC's multidimensional research provides executives insights into industry trends, strategic planners with unparalleled detail in sizing critical market segments, and sales and marketing organizations' tactical insights into new market opportunities. IDC's Canadian Managed Services Market Forecaster is delivered in a pivot table so customers can evaluate and analyze market data across multiple dimensions. This flexible and dynamic tool allows clients to identify market opportunities and effectively position their products. The tool provides five-year end-user spending forecasts for nine managed services markets segmented by industry, region, and company size, as well as historical data for one year. IDC offers the most granular multidimensional view of the Canadian IT and telecom markets with our Market Forecaster tools, with segmentation by industry, region, and size across hardware, software, IT services, and telecom markets. Why Use Canadian Managed Services Market Forecaster Data? Because you need trusted, unbiased market data to make the right decisions. 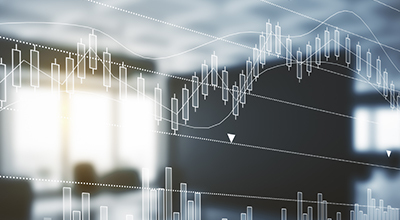 Whether you currently compete in one or multiple managed services markets, are evaluating entry into a new software market or region, or making an investment decision, data from the Canadian Managed Services Market Forecaster can help you. Align market sizes to your addressable market (by market, region, size, and industry). IDC's Canadian Managed Services Market Forecaster is delivered in a pivot table so customers can evaluate and analyze market data across multiple dimensions. This flexible and dynamic tool allows clients to identify market opportunities and effectively position their products. The tool provides five-year end-user spending forecasts for nine managed services markets segmented by industry, region, and company size, as well as historical data for one year. IDC offers the most granular multidimensional view of the Canadian IT and telecom markets with our Market Forecaster tools, with segmentation by industry, region, and size across hardware, software, IT services, and telecom markets.